Colfax Avenue: Summer Dive Spectacular at Casa Bonita! JOIN US FOR THE SUMMER DIVE SPECTACULAR! Saturday, June 28, 2014, Casa Bonita will be featuring our Summer Spectacular Acapulco Dive Show Extravaganza between the hours of 6:00 pm and 8:00 pm. This is in addition to all of our regular entertainment including Chiquita the escaped Gorilla, showdowns between the Sheriff and that desperado Black Bart, Pirates walking the plank, Puppet shows, Magic shows, and don’t forget Black Bart’s Hideout. Now let’s see, have we missed anything? 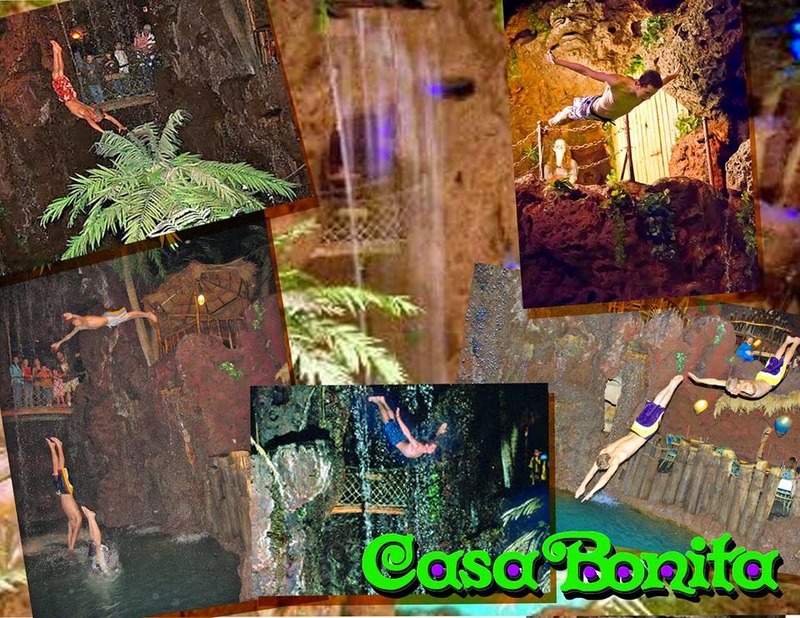 OH YEAH, the world’s most exciting restaurant under one roof - the one and only Casa Bonita! AND remember to check out our June Red Hot Deals at www.casabonitadenver.com.